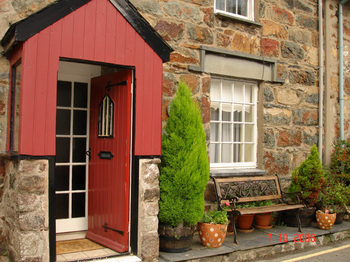 Frondeg is a grade II listed cottage located in the pretty village of Beddgelert in the heart of the Snowdonia National Park, just 4 miles from the summit of Snowdon. 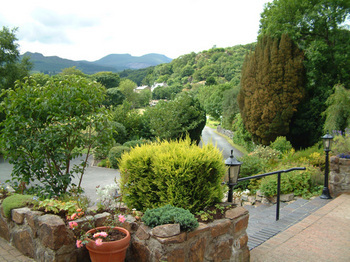 It has recently been fully renovated to a very high standard and offers ideal non smoking accommodation for a self catering holiday in North Wales. 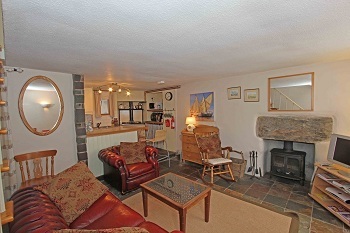 The ground floor comprises an open plan lounge/kitchen with slate flooring. The lounge area is comfortably furnished and equipped with a modern flat screen 32 TV, Sky (a full package) , DVD and CD players. 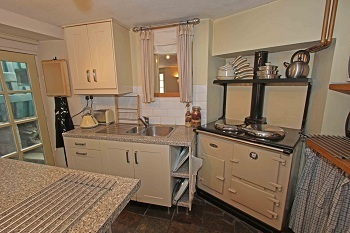 The facilities in the modern kitchen area include an oil fired Aga style cooker, fridge, washer/dryer and microwave. We have also added a small conventional oven and an electric hot plate for those not comfortable with an Aga.. A kettle and a toaster are also provided, plus a large array of kitchen equipment cutlery and crockery. 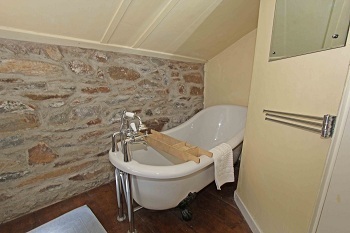 Stairs from the lounge lead to the first floor where there are two bedrooms each with a double bed, and a newly, well fitted bathroom comprising a slipper bath (high backed) with shower attachment, basin and toilet. 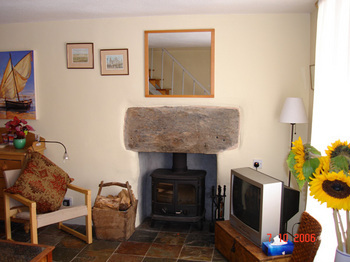 Heating and hot water are generated by the cooker, (with backup of an emersion heater) and the cottage boasts an original stone fireplace with a wood burning stove. 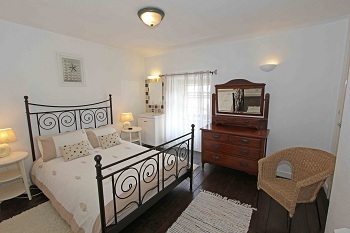 The bedrooms are also fitted with convector heaters for added comfort. The fuel oil and electricity are included in the tariff, and logs for the stove are available in the village. Bedding and Bed linen is provided, but please bring your own towels. 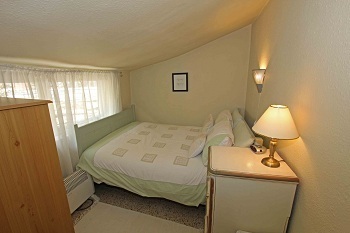 There is also a fold out guest bed & bedding plus an iron and ironing board and a hairdryer. The cottage does have a sitting out/patio area at the back housing a picnic table and four chairs. There is some on road car parking space available, and there is a free car park 200 yards away. The village offers a number of places to eat. including three pubs, 3 or 4 gift shops, an Ice Cream Parlour of some renown and a general store for emergency provisions We also have a post office. The nearest supermarket is in Porthmadog, 7 miles away. 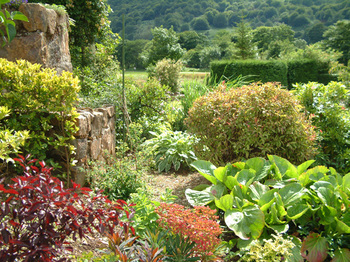 Frondeg is ideally placed for all that North Wales has to offer. Castles, beaches, golf courses, narrow gauge railways and, of course, mountains are all within easy reach together with many other attractions.